How about a banana split for breakfast? 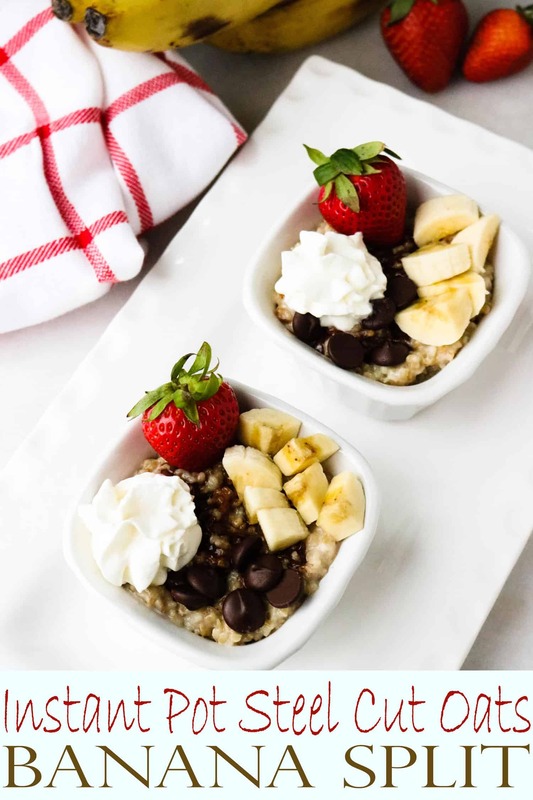 It may sound a little crazy, but when you make Instant Pot Steel Cut Oats – Banana Split Oatmeal, you’ll feel like you’re indulging in a tasty dessert. 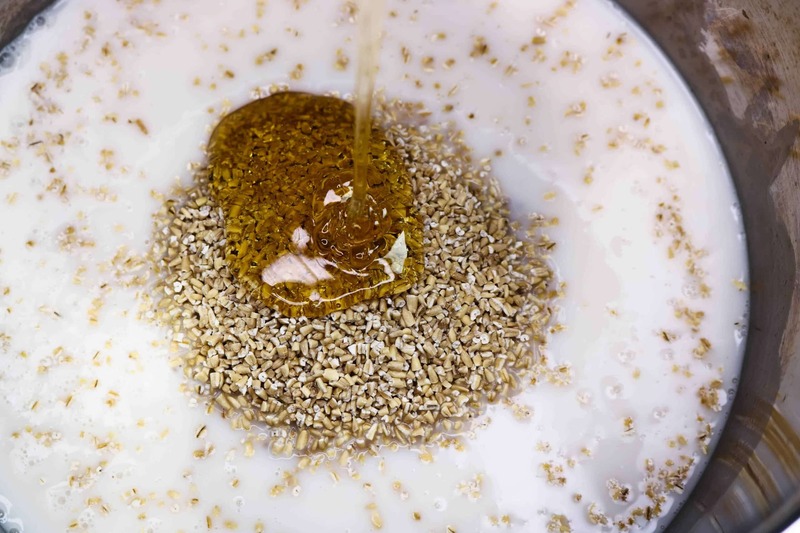 Cooking steel cut oats on the stovetop requires approximately 30-40 minutes of hands-on time. But with the Instant Pot, it’s done in only 4 minutes of cooking time. And, all you need to do is put the ingredients in the pot, set it, and walk away! 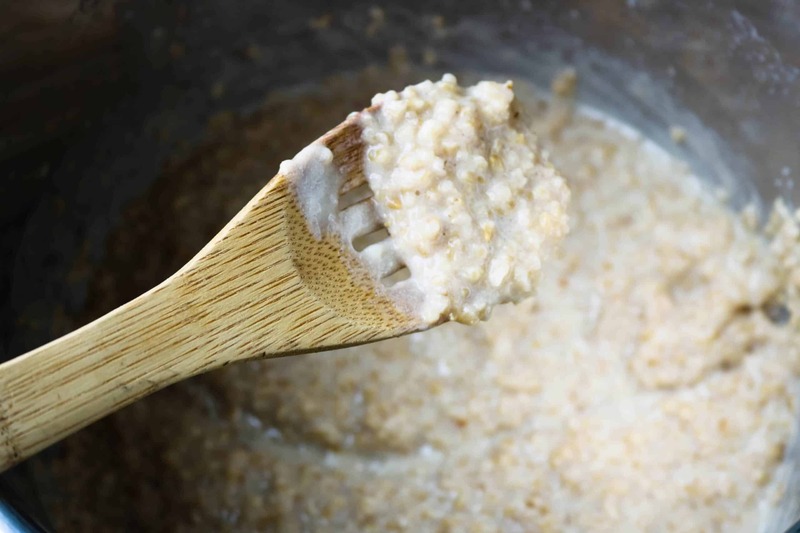 While cooking steel cut oats in the Instant Pot is easy, it can leave behind stubborn stains and build-up. 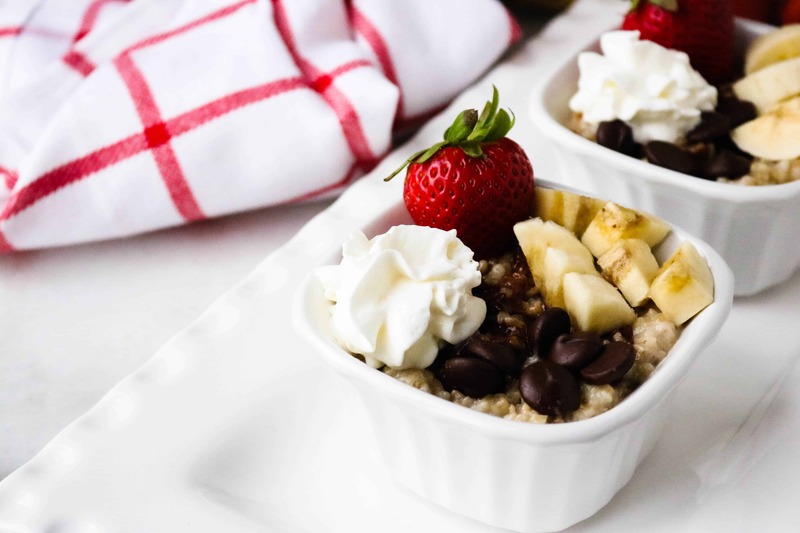 Purchase a ceramic nonstick inner liner pot to use in your Instant Pot when cooking steel cut oats and cleaning up will be a breeze! Step #1: Combine vanilla almond milk, steel cut oats and honey in your Instant Pot inner pot. Step #3: After cooking time has elapsed, perform a quick release. Open the lid and stir. Step #4: Dish up into bowls, and top with sliced banana, nutella, chocolate chips, strawberries, and a touch of whipped cream. Enjoy! 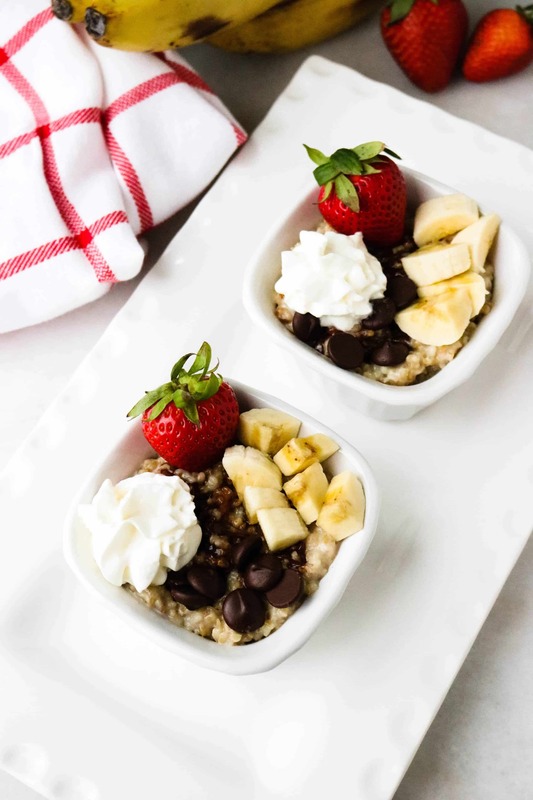 Healthy and hearty steel cut oats combined with classic banana split flavors makes a good-for-you meal taste like a decadent dessert. Choice of toppings — pictured is nutella, chocolate chips, bananas and strawberries with a touch of whipped cream. An electric pressure cooker. They are amazing to use for cooking all sorts of recipes!